Corby Lighting LED GU10 Dimmable Lamp 5W Warm White 345lm (5 Pack) is rated 3.7 out of 5 by 6. Rated 5 out of 5 by Steve the decorator1951 from Dimmable GU10 LED's. Second time that I have bought these particular LED bulbs. Great price and (so far) quality. They 'dim' from full brightness; good white light, right down to a low level white light - not so dazzling. How long do they last? I'll let you know. They do need a compatible LED dimmer replacing the on/off switch which can be a little expensive but worth the money and effort. Usual superb service from Toolstation. Recommended. Rated 4 out of 5 by Matt V from Excellent LED bulbs I have had LEDbulbs in the past and been disappointed, but having bought the Warm style bulbs I am very happy. They give a nice strong light, but not too bright. I have only just installed these so don't know how reliable they will be or how long they will last. Rated 1 out of 5 by carmer from Example:Not to Spec The Led GU10 lamps light up but failed to dim. Returning to store. 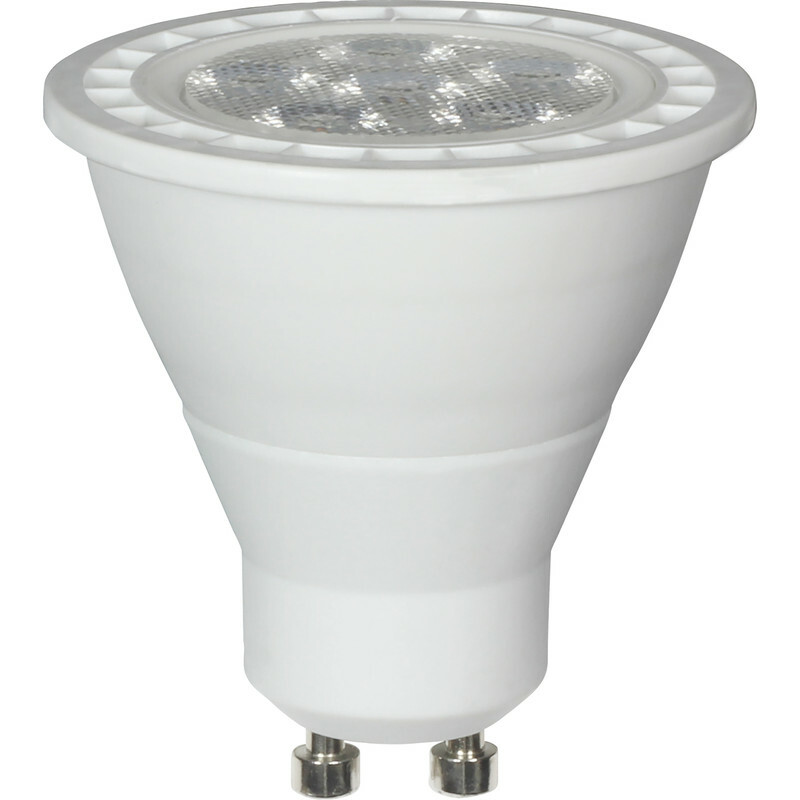 The halogen GU 10 lamp dim.